I just finished my last midterm for this semester, and I couldn't be happier about it! Now I just have a stats report and a paper due in the coming weeks, and then final exams. Summer couldn't come sooner! 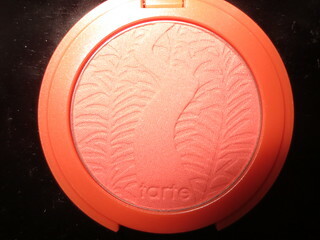 In the meantime, I've been loving Tarte's Amazonian Clay Blush in Tipsy, which is a very summery shade. 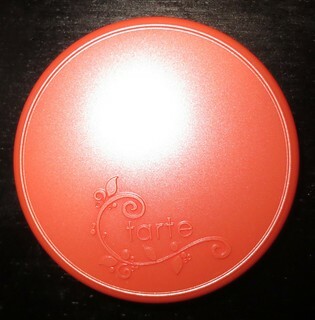 Tarte's blushes are highly pigmented, apply smoothly and evenly, and last all day long on my cheeks! I apply my blush using a Sigma F40, and use a light hand. I then build up the colour to my taste. Since these blushes are very pigmented, you want to start off light, and build from there. 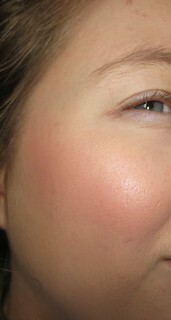 If you apply too much, it is a bit tricky to tone down the blush. I love that Tarte colour coded their packaging! It makes finding the right shade so easy in the mornings. And I think the packaging is really fun and cute :) Also, if you are a fan of depotting, Tarte included a tiny hole on the bottom of the packaging. You can just slide a pin in the hole, and push out the magnetic plate that holds the blush. I think this is such a great idea, and more companies should start doing this! Tipsy is a matte coral shade, which I think applies beautifully. In the pan, this shade initially looked very bright and shocking to me, but when it's applied, it's very wearable. Coral is always a hot shade in Spring and Summer, so you really can't go wrong with this blush. Love this colour on you!!! This is a great color on you!